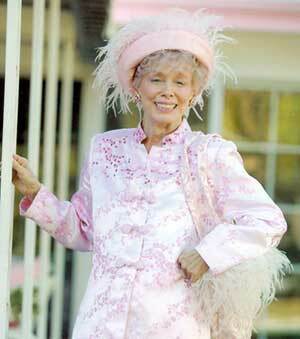 Jackie Goldberg, the famous Pink Lady, advocates Senior Star Power seminars for people over the age of 60. For her, an incredible 78 years young, seniors need to "Get up, get out and get a life", with age merely a number and never a hindrance to success. Look at her! She's living proof. Rockin' With the Ages 3 at the Victory Theatre in Burbank is her third hit musical production in the past year and a half with a complete cast of senior talent. This lady continues to do so very much for the senior community in LA to keep them thriving and happy. Q: Why was it so important for you to make a book musical out of Rockin with the Ages? The revues were very, very good. I made ROCKIN a rock type show because in all my shows from now on I want to show all the different ways my senior cast can go and be vital, exciting and entertaining. Rockin 4 will show a completely new way. Q: How did you select your creative team, like director, musical director, choreographer? I always PUT IT OUT THERE and people call and I try to choose those whose ideas are like mine ...to remember that AGE IS ONLY A NUMBER . Q: Did you give your input into the storyline? YES AND NO. I set the idea about how and where we should be located and a few ideas on songs, but BILL REID was great in writing the BOOK and MARK (RODRIGUEZ) is fantastic as a musical director and super as a piano man. Q: How does the show symbolize your philosophy of living over the age of 60? IT'S NEVER OVER TILL IT'S REALLY OVER......AND I BELIEVE THAT THIS IS REALLY THE BEST OF TIMES IN ONE'S LIFE! Q: Why were the songs selected rock songs instead of pop or Broadway, as those suited your cast so well? EACH show is different, as I said. JUST YOU WAIT TO SEE ROCKIN 4!